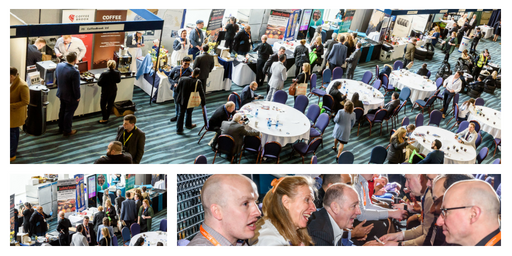 On Wednesday 14th March, more than 700 visitors attended the E3 Business Expo at the Macron Stadium in Bolton. The event is a showcase for businesses throughout the North West. Designed to deliver as much activity as possible in a single day, it comprises a series of seminars, speed networking sessions and the exhibition itself, which this year featured 60 stands. Attendance broke previous records, as visitors came to make new contacts and hear presentations on a diverse range of business topics. Others were drawn by the chance to take advantage of special show offers, as the event organiser, Mubarak Chati, MD of 1 Events Media explains. “This year, we’ve been helping exhibitors to get the best possible results from their time at the Expo,” he said. “Last month, we provided exhibitor training for all those taking part and, to help ensure maximum attendance, we encouraged them to provide a variety of show offers – discounts and giveaways that visitors would really value. The stand-holders certainly embraced the idea and we estimate they came to the Expo offering more than £18,000 worth of free reports, free security checks and significant discounts on things like hotel bookings and flights. One of the biggest draws of the day was the seminar programme. This featured presentations on fleet management, customer engagement and business development through referral marketing. The seminars took place to one side of the main hall, where, on around 60 stalls, exhibitors demonstrated new products, new technologies and new solutions to the challenges of business. Throughout the day, visitors and exhibitors alike were also able to take advantage of free food and drink. This encouraged visitors to stay longer, spending more time networking and talking to stand-holders, and its obvious popularity on the day means it will almost certainly become a standard feature of future events. Other parts of the exhibition hall were devoted to particular industries. In the Energy Zone, for example, exhibitors were on hand to offer advice on all aspects of energy cost reduction. Visitors requested utility supplier comparisons, booked appointments for energy efficiency surveys and learned about the savings resulting from the latest energy efficient lighting and control products. Likewise, in the Fleet Zone, members of the recently formed National Fleet Partnership provided free advice about keeping company vehicles safe, secure and running efficiently. Inside the hall, they helped visitors with issues such as insurance, purchasing and security, while outside in the car park, safety specialists offered free tyre checks and vehicle reports. Another popular feature of the day’s events was the opportunity to take part in networking sessions. These ran throughout the day and were very well attended. Photographs and copies of the seminar presentations are available here. Thank you @27andahalf for an amazing testimonial #E3Expo19, please let us know as soon you hit the ROI!